This was the last of the contractual credits on the inside cover page of the comic book adaptation of "Helen Of Troy" (1955), and though Id seen that credit on all the movies Id seen previously, this was the first time it struck me as having some significance. At the time I didnt know what, but from that moment I did begin to associate the names to which the credit was ascribed with films I liked. Later that year I saw "Somebody Up There Likes Me." Not the type of film I normally enjoyed in those days, but back then we went to the movies every Saturday and Sunday afternoon irregardless of what was playing, and "Somebody Up There Likes Me" was probably the first "adult"-type drama I enjoyed. And it was "Directed by Robert Wise." Later I would see "Run Silent, Run Deep" (1958), "Odds Against Tomorrow" (1959), "The Day The Earth Stood Still" (1951) on TV, and ultimately "West Side Story" (1961). By then I not only had some idea of what a director did, but had even done it in a high school amateurish way, though I was not yet cognizant of the unique touch that made Bobs films stand out for me. But I would never have dreamed that I would ever get to meet and know him personally and actually be privileged to work on two of his projects: as first assistant editor on "Star Trek: The Motion Picture" (1979) and as editor of the 1980 version of "The Heart Of Hollywood," an intra-industry promotional short for the Motion Picture and Television Fund, new versions of which had been done every few years (we even included an archival clip from an earlier version). Actually, like Alfred Hitchcock, Bob did 50% or more of his work in pre-production, so his on set work was primarily ironing out specifics of dialog delivery and bits of business with the actors. Hed usually do several takes until he got one he liked, then would go for one more, just in case. Because of his background as an editor, Bob like to say that he protected himself by covering every angle he could think of, which implies that he shot a lot a lot of film. In fact, on "Star Trek," except for two days in which they were using multiple cameras, we never had more than 25-30 minutes of dailies, but everything the editor needed to put the scene together along the basic lines Bob intended was there. Todd Ramsay, editor of "Star Trek," who had been the assistant on "The Hindenburg," told me it was the same on that film. In dailies, Bob would give the editor a rough idea of his take on the scene, if there was something specific that hed like to have used, etc., but generally left the first cut up to the editor. And yet, his intentions were clear from the coverage: where he began his medium shots, over-the-shoulders, singles, etc. In dramatic scenes, he generally preferred to start wide to orient the audience to the geography, then move increasingly closer as the intensity of the scene rose. At the same time, he was also very much aware of the effectiveness of going wide at the peak of a dramatic scene. And of course, as a former editor, he was aware of how a film starts to take on a life of its own once the first cut has been made, and he tried to anticipate the needed material to accommodate what might arise out of this. As an editor, the most important thing I learned from Bob, albeit indirectly, was the importance of "two frames." Although no seems to care about doing so today, Ive always been obsessed with making perfectly timed cuts, even when working on my own stuff in 16mm, and in those days, had been frequently frustrated at cuts that I could never get to feel right. (I had been promoted to editor at Universal before dropping back to assistant because of the opportunity to do "Star Trek.") One day, Todd pointed out that all of Bobs suggested trims amounted to two frames or multiples thereof. I then tried subtracting or adding two frames or multiples to one side or other of a cut and found that generally worked. Its an approach I still use, even in Avid and Final Cut, for both first cuts as well as trimming. The obituaries Ive read so far have all pointed out what a great person Bob was, a low key, humble gentleman, always helpful and encouraging, especially to young people, always supportive of the industry and the art. Yet the analysis of his films continues to be surface to the point of patronizing. 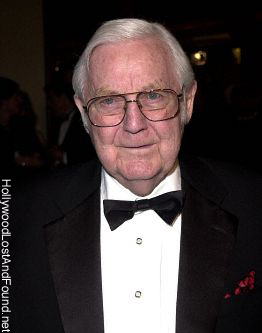 In my opinion Robert Wise is probably the most underrated American filmmaker of his generation. One could argue that this can be said of a number of his contemporaries and near contemporaries. But in Bobs case, in addition to his low-key personality and the equally low key approach he took to his films, he has had two handicaps to being fairly evaluated by historians and critics of the last 40 years: Orson Welles and "The Sound Of Music." In addition to his involvement with the reediting of "The Magnificent Ambersons," Bob has been viewed negatively for not becoming a clone of Welles, and, sour grapes-icly, for his success in an industry that rejected Welles, overlooking the fact that Bob made more films that a majority of people wanted to see. And the success of MUSIC, plus Bobs visibility as Academy president in the rebellious Sixties, unfairly targeted him as the symbol of the ossified Hollywood establishment. Like most of his contemporaries, Bob was never an ostentatious, flamboyant filmmaker. The closest he ever came to anything like that being his experimentation with multiple images in "The Andromeda Strain." He came from what over the last 40 years has been dismissed as an "old fashioned" school of film storytelling, one which took a "subjective" approach, only doing things that might make the audience aware that they were watching a film when it was germane to the way the filmmakers had chosen to tell their stories. A bit of historical perspective is in order here. We tend to think of pre-Seventies filmmakers as middle-aged or older men, because thats what they were when the reasonably serious study of American film began in the Sixties. We Boomers forget that when they began working in the industry, most of them were also in their Twenties; Bob was just four years older than Welles. And for them the period of 1926-29 was probably what the late Sixties-early Seventies were for us, in varying degrees, for that was when the cinematically innovative films from France, Germany, and Russia were being imported into the United States. A comparison of American films made before 1925 with those made after clearly demonstrates the influence of those foreign films on the Hollywood product, particularly in a move toward minimizing title cards and telling the story as visually as possible. Sound interrupted this, but it was a combination of iconoclastic young directors who had not been indoctrinated with a literary orientation toward storytelling, like William Wellman and Lewis Milestone, and older directors sensitive to the narrative potential of film, like Curtiz, Ford, Lubitsch, and Roland West, who saw sound as an enrichment and not a means of turning the art form into elitist critics ideal of "canned theater," who were the first to get the visual revolution back on track. Indeed, its my postulation that the greatest generations of American directors were those who successfully made the transition from silents to sound and those from the next two decades who, after essentially apprenticing under them, moved from behind the Moviola, camera, drafting table, et. al. into the directors chair, the latter groups ranks including George Stevens, William Wyler, Don Siegel, and, of course, Bob. There is something else that these men had in common, something rarely acknowledged which also affected their filmmaking styles: except for Wyler, they were all from basically Middle American backgrounds and therefore instinctively knew how to tailor their films to appeal to "average Americans." (Wyler, like Curtiz, Hitchcock, Lang, and Billy Wilder probably developed these instincts from closely studying Middle American life.) As New Yorkers have always noted, pre-Seventies Middle Americans were brought up to show emotional restraint and these directors films, especially those from the Forties forward are rarely dated by over the top scenery chewing. This careful, controlled depiction of his characters emotional states, often conveyed through body language and adroit editing was always a characteristic of Bobs films. This has been a particular indictment of them from actor/performance-only oriented critics, yet a careful study of them reveals how that emotional restraint can yield more emphatic results and stronger emotional impact on a film audience than big outbursts that may work on the stage or lead to Oscar nominations - but which come off as an embarrassing turnoff to many outside New York and the L.A. Westside. It was about 40 years before I saw "Somebody Up There Likes Me" again, and I then realized that it was this restraint in the performances that made the film work for me as a kid. The characters came off as normal people I could relate to, even if they were blue collar New Yorkers. It also results in a pleasing amiability in comedies like "Something For The Birds" (1952) and "This Could Be The Night" (1957). It is this same restraint which makes the rarely discussed dramatic scenes in "West Side Story" work so well, the underlying tension in the encounters between the two gangs and with Simon Oaklands Officer Schrank. Perhaps the most powerful scene in the film is the one in Docs candy store where the fight is being planned and Schrank shows up, which contrasts so strongly with the scenes between Maria and Tony, and really sets up the poignancy of the ending. And then there is "The Sand Pebbles" (1966), a film Ive found struck a personal chord with just about everyone who were in their late teens/early Twenties when it was released. At the time it was acknowledged that the film was allegorically about Vietnam, and in Middle America, there was still a lot of potential cannon fodder blithely accepting the governments claim that what they were doing was right. "Sand Pebbles" brought that dilemma to life for a lot of these kids. In later years, Bob felt that the film was too long but I expressed to him my feeling that the length was justified in making the full weight of the Steve McQueen characters "journey to enlightenment" impact upon the audience. At the same time, Bob got interesting atypical performances from certain actors, such as letting Elisha Cook, Jr. be a lech in "Born To Kill" (1947), making you feel sympathy for Henry Daniell in "The Body Snatcher" (1945), albeit briefly, and really infusing "The Set-Up" with a gallery of realistic blue collar types, including an understated Percy Helton. Of course, writing, art direction, cinematography, and post aspects are all factors in the success of this, but if I had to choose two other characteristic scenes from Bobs work that I have seen (unfortunately there are some of his films that I havent), they would be from "The Body Snatcher" and "The Sand Pebbles," admittedly similar in subject matter, but completely different in approach and tone. "The Sand Pebbles" scene is the one in which Steve McQueen has to kill Mako, a key scene for the entire film, which is beautifully set up with what has gone before. But the way the scene is staged and edited, all the political and emotional strands of the film come together for the first time. Bob has described McQueen as one of the most physical actors hed ever worked with, one who really knew how to use his body language and face to make character points far more emphatically than dialog. Bob and McQueen make full use of that here, especially in the scenes topper, where, after the shooting, the wrought up McQueen angrily goes below alone to the engine room, savagely shovels coal into the boilers, and then leans on the shovel and starts to sob - the kind of gut-wrenching moment that really can only be done in a medium like film. Bob naturally took to Wide Screen from his first CinemaScope picture "Helen Of Troy" (1955) and loved the high image quality of 65mm. He would carry his preference for deep focus to the point of insisting on using an experimental 30mm Panavision lens for "The Haunting" (1963) and diopters to keep both something in the foreground and something in the background in focus. 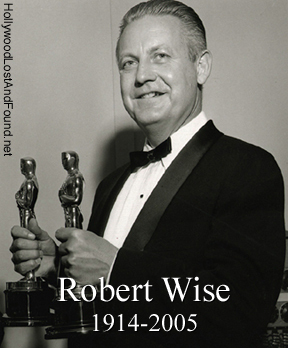 And its interesting to note that in at least four of the films he designed for Bob "West Side Story," "The Sound Of Music," "The Sand Pebbles," and "Star!" (1968), Boris Leven did sets that were essentially vertical for a horizontal format, something that is particularly effective in "The Sand Pebbles." In conclusion, two personal notes: on "Star Trek," whenever I had to call the set for some reason, I was surprised at how often Bob, not an assistant director or p.a., would answer the phone. And, in the six years before "Star Trek," though Id encountered Bob socially enough through functions at USC that he knew my name, out of the respect for him and the esteem in which I held him, I always called him "Mr. Wise." About a month into shooting, Todd took me aside and told me that he was bothered by that, that he felt wed known each other long enough that I should be calling him "Bob." For me, that and his filmography sums up a truly great gentleman.